For years, pediatricians have recommended that young children watch no TV, or as little as possible, because it can lead to problems in school and behavior issues. Now a new study concedes children are sitting in front of the TV a lot longer. However, controlling what they watch can improve how they behave. When preschoolers watch educational programs instead of violent TV shows, they tend to be more compassionate and less aggressive, according to a study published Monday in the journal Pediatrics. About 600 families were recruited and assigned to one of two groups. Parents in the first group were encouraged to substitute violent shows with educational and pro-social ones - shows that stressed compassion and cooperation. Families were given monthly TV guides listing educational programming for their area: shows such as "Dora the Explorer," "Super WHY," "Sesame Street" and "It's a Big, Big World." Parents were also encouraged to watch TV with their kids. The children went from watching a half-hour of violent programming a day to 23 minutes. Parents then increased educational viewing from about 30 to 43 minutes a day. Families in the second group did not change their viewing habits. "This is the first study to try to modify the viewing habits of preschool kids," says Dr. Vic Strasburger, spokesperson for the American Academy of Pediatrics. "That's one of the significances of this study." After a year, researchers found that children watching less violent and more child-appropriate shows scored better on tests that measured cooperation, a willingness to share or compromise. They also had fewer incidents of aggressive behavior such as yelling and hitting. "Although television is frequently implicated as a cause of many problems in children, our research indicates that it may also be part of the solution," the study notes. The scientists saw the greatest improvements in boys raised in disadvantaged homes where children tends to watch more TV. Experts know that children mimic what they see, whether it's in real life or what's on the screen. And this is of particular concern when children watch TV or movies riddled with violence. "Children learn their attitudes about violence at a very young age, before age 8 and once they learn those attitudes it's very difficult to unlearn them," says Strasburger. "It doesn't mean that children who watch violence are going to become murderers, but it does mean that they are desensitized to violence in the real world and they are more likely to be aggressive themselves," says study author Dr. Dimitri Christakis, director of the Center for Child Health, Behavior, and Development at Seattle Children's Research Institute. But on the flip side, when children watch shows with positive social messages, it helps them get along better with others and gives them the tools to become better communicators, the study suggests. "They will imitate the good things too," says Christakis. "We should take more advantage of the fact that you can demonstrate good behaviors on-screen and that children will emulate them in real life." Right now, the American Academy of Pediatrics recommends that preschoolers and older children get only one to two hours of TV or screen time a day. But in reality, they're really watching much more. According to this study, preschoolers see an average of about four and a half hours daily at home and in daycare settings. Parents struggle with guilt, researchers say, because they allow so much TV time. "Parents need to get this message that it's not just about how much TV your children watch, it's about what they watch," says Christakis. "It's not just about turning off the set; it's about changing the channel." 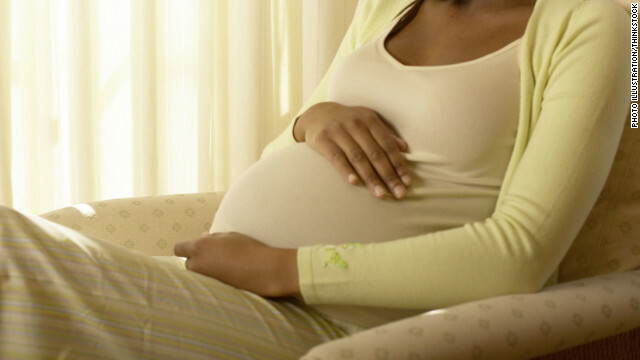 It's a heated question: should women take antidepressants during pregnancy? Some experts argue for it and some against, but a new study may ease the minds of women facing the decision. Researchers say taking a common type of antidepressant does not increase the risk of having a stillborn child or losing an infant early in life. The study was published in this week's Journal of the American Medical Association (JAMA). 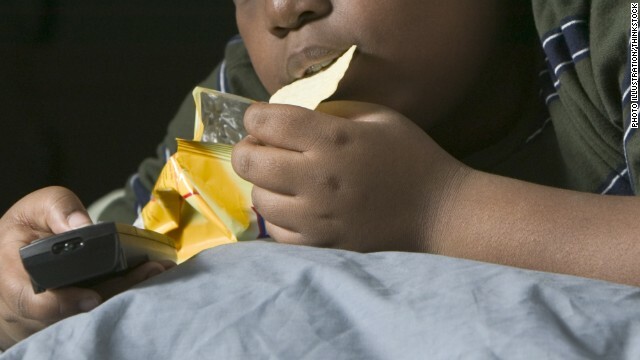 The number of young children who are obese and extremely obese is going down, according to new data released by the Centers for Disease Control and Prevention. In what researchers say is the first national study to show that the prevalence of obesity among young children may have begun to decline, scientists analyzed data from more than 27 million children from low-income families between the ages of 2 and 4 in 30 states and the District of Columbia. "The results of this study indicate modest recent progress of obesity prevention among young children," according to the study published Tuesday in the Journal of the American Medical Association (JAMA). 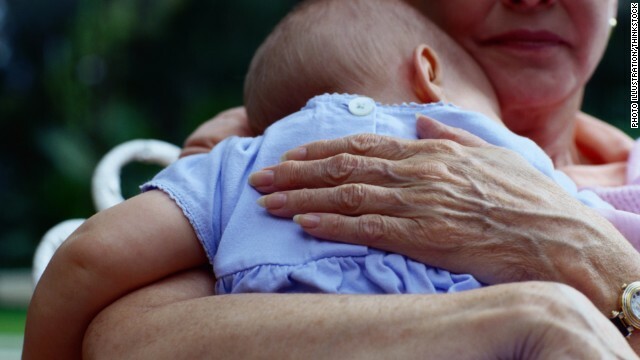 A growing number of grandparents are raising their grandchildren and a new study suggests they may not be as informed as they need to be when it comes to safety. While grandparents do have years of child-rearing experience, a study presented this week at the American Academy of Pediatrics conference says some are relying on old data and unintentionally putting their grandkids' health and safety at risk. "Pediatricians need to be aware, and they need to make sure they are going over (the) most recent safety recommendations with grandparents," says lead study author Dr. Amanda Soong. 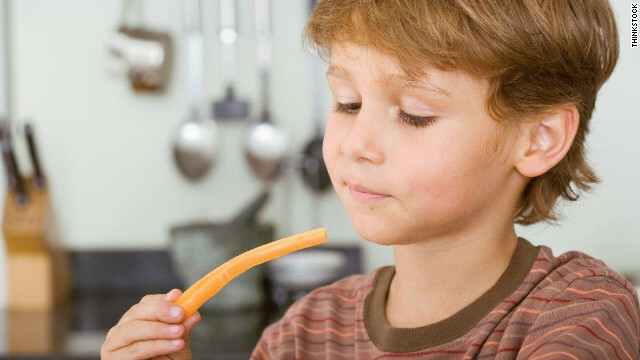 Kids are more likely to eat vegetables with catchy names like "X-ray carrots," a study shows. 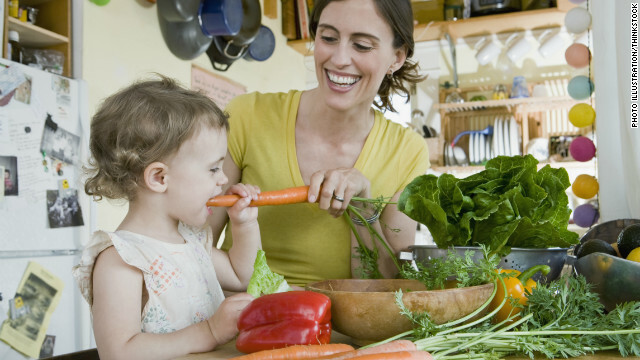 Want kids to eat veggies? Try a good marketing plan! Getting children to eat their veggies may be as simple as a good marketing strategy, says a new study. "Marketing, when it comes to kids and food, tends to have a negative connotation," said David Just, a professor of behavioral economics at Cornell University and a co-author of the study. "What we've been doing is trying to establish whether it's possible to use marketing to get kids to eat healthier foods." One in four young adults are too overweight to join the U.S. military, a group of retired military leaders says. Childhood obesity isn't just a health issue, according to a group of retired military leaders. It's also a national security issue. 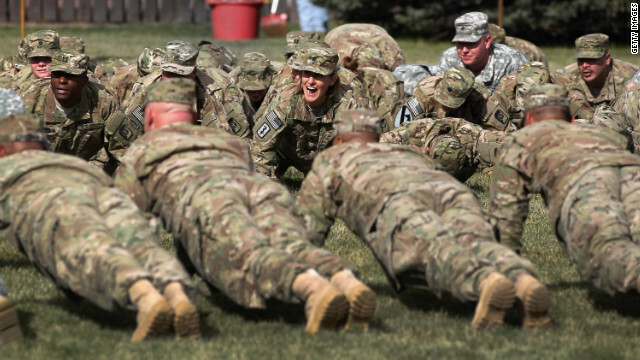 One in four young adults are too overweight to join the U.S. military, a new report from the advocacy group Mission: Readiness says. And the U.S. Department of Defense spends an estimated $1 billion each year on medical care related to obesity issues for active duty members, their dependents and veterans. "No other major country's military forces face the challenges of weight gain confronting America's armed forces," according to the report. "At the end of the day, the reason America is safe and sound is not because of its tanks," adds retired Lt. Gen. Norman Seip, spokesman for Mission: Readiness. "It’s really the men and women who volunteer and so proudly serve." Kids on average consume 130 "empty" calories a day from candy, cookies and chips, according to the U.S. Department of Agriculture. Mission: Readiness has been working to get rid of junk food in schools since 2010, when it supported the passing of the Healthy, Hunger-Free Kids Act. The act requires the USDA to update nutrition standards in schools. Mission: Readiness believes having healthier food in the cafeteria and in vending machines will help slow - or even reverse - rising childhood obesity rates. And healthy children are more likely to grow up to be healthy adults who can serve their country. "We’re not picking on the schools," Seip says. "The schools are part of the solution. We like to think that this obesity problem... is one that’s going to require all of America to tackle." 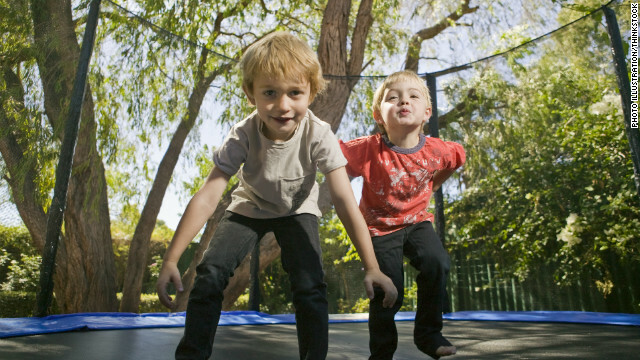 Smaller children can be more at risk from trampoline injuries, the American Academy of Pediatrics warns. Exercise is important for kids; they need to get outside and move. But there's one form of exercise physicians say needs to be used with caution - the backyard trampoline. An updated policy statement published in this week's edition of the journal Pediatrics, a publication of the American Academy of Pediatrics, says that although trampoline injury rates have steadily been decreasing over the past few years, 98,000 trampoline-related injuries still occurred in 2009, resulting in 3,100 hospitalizations. Many parents still think these pieces of equipment are toys, researchers say, and they're not. 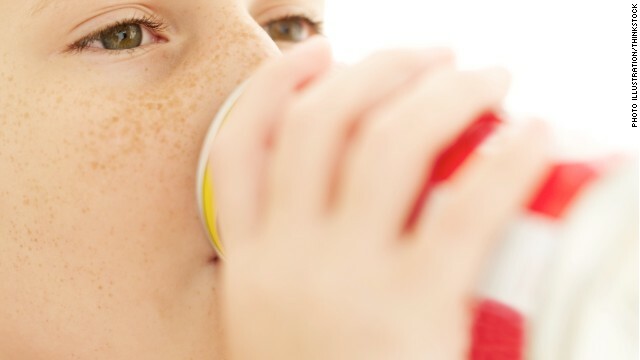 Too much sodium can lead to elevated or high blood pressure in kids, which can persist into adulthood, researchers say. Children are eating as much salt as adults, according to a new report, and experts are concerned. Most adults consume too much sodium and that can have serious health implications. Too much salt in a person's diet can raise your blood pressure; high blood pressure increases the risk for heart disease and stroke. In this new study, published Monday in the journal Pediatrics, researchers found that if a child is overweight and eats as much salt as an adult, the risk for high blood pressure goes up dramatically. They are used to power everything from flashlights to remote controls. So called "button batteries," which are the size of coins (and sometimes smaller), have grown in popularity over the past few decades. Now, the Centers for Disease Control is warning parents to keep them away from children. But here's the bigger concern: 14 children, all of them under the age of 4, died after swallowing batteries. Twelve of the 14 deaths involved button batteries. In most cases, the batteries got stuck in the esophagus. Experts say when that happens, or if the batteries make it down to the intestine, they can emit hydroxide which can cause chemical burns.